Celebrate the Land Trust’s recent protection of the Snodgrass Trail and its surrounding meadows and unmatched vistas! 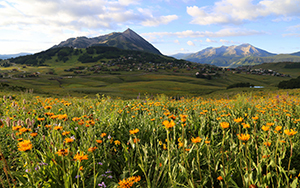 Local wildflower whiz-kid, Gary Rainwater, will accompany Hedda Peterson from the Crested Butte Land Trust. Together they will discuss the intricacies of both local botany and conservation.